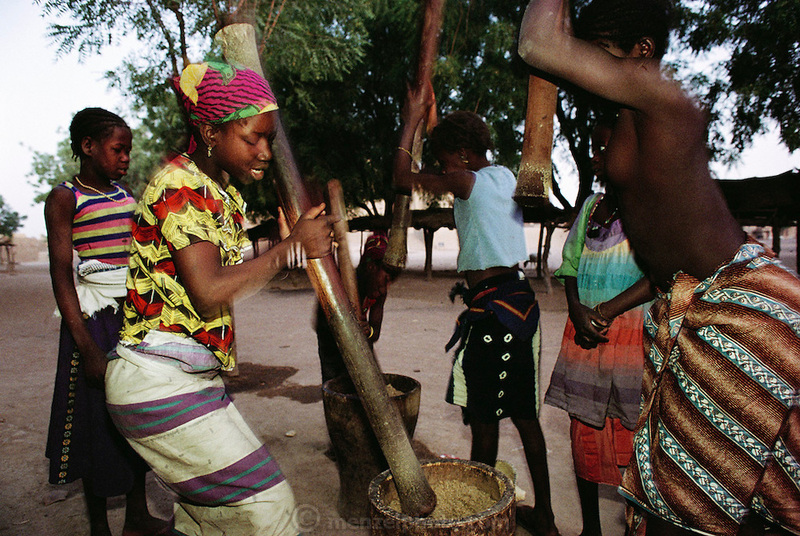 Women and girls pound millet grain to make flour for porridge in Djenne, Mali. Talking and singing often accompany this very physical task. Material World Project.